Love Birds, Receptions, Tokens of Your Affection and a New Neighbor!!! It's for the BIRDS, man! 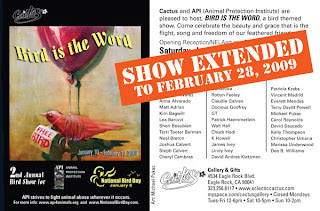 Cactus Gallery is pleased to EXTEND this special art show for the Animal Protection Institute (API - www.api4animals.org). More than 30 artists have created works that celebrate the beauty and grace of our feathered friends. Consider getting a little token for your Valentine at Cactus. Handmade gifts that won't bust your budget. Who says "You Can't Buy Love?" ALL LEATHER HANDBAGS AND PURSES AT 20% OFF throughout February !! New textured BANGLES, pendants and rings made HERE in Eagle Rock by artisan Abraham Szmukler. Also, his popular unisex Byzantine weave bracelets and necklaces. GIFT CERTIFICATES available in any denomination. ART FINANCING available. NEW STONE AGE MOSAICS has moved in next door to Cactus!! 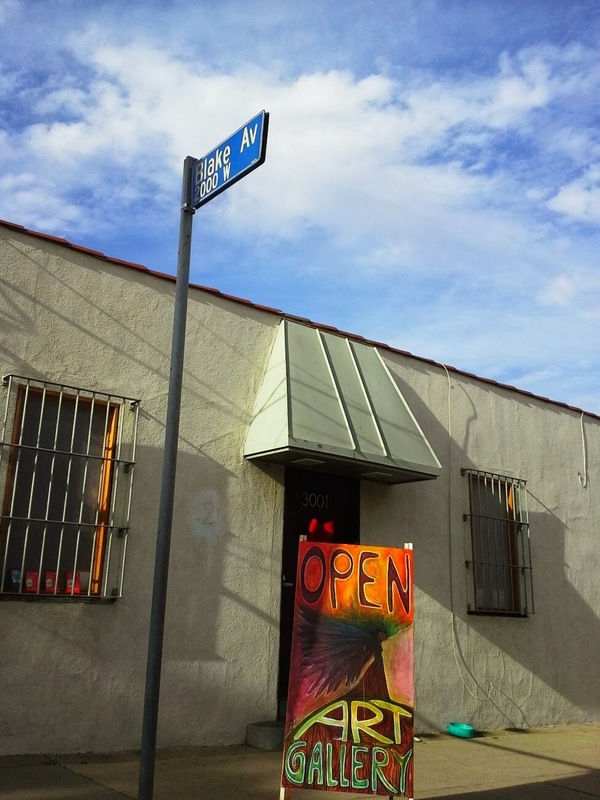 Please come welcome Mosaic artist, Mary Clark-Camargo, to Eagle Rock during our NELAart.org artwalk on February 14th or almost any day during the week. Her studio is almost set up and the space is colorful and sparkly!